Obituary for Karen A. (Fenner) Stellmach | Edder Funeral Home, Inc.
Karen A. 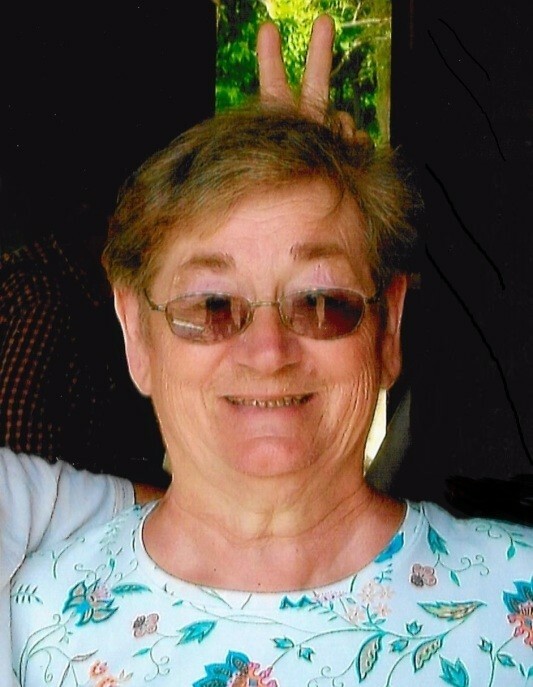 (Fenner) Stellmach, 75 of Cranesville, died unexpectedly on Saturday, September 1, 2018 at St. Vincent Health Center. She was born in Erie on November 25, 1942, a daughter of the late O. Morris and Birdella M. Hoyt Fenner. Karen graduated from Fort LeBoeuf High School in 1960 and lived in Millcreek from 1966 to 1982. She has resided in Cranesville since 1995 and also for a time in West Springfield. She was a member of Bethel Presbyterian Church in Cranesville and enjoyed many things but especially taking care of her family and home were her greatest joys in life. Her favorite hobbies included quilting and sewing. In addition to her parents she was preceded in death in 2010 by her beloved husband, LeRoy R. "Sonny" Stellmach, whom she married on December 17, 1960 in Girard; and a son in infancy, Gerald John Stellmach and a brother Robert M. Fenner. She will be deeply missed by her second husband, Ken Foy, whom she married September 7, 2013, also by two daughters, Bonita "Bonnie" L. Peyton (Danny) of Platea and LeAnne M. Gollmer (Jeffrey) of Albion; her five sons, Brian L. Stellmach (Norma) of Conneaut, OH, Gregory A. Stellmach (Lydia Rutledge) of Cranesville, Chris R.M. Stellmach (Melissa) of Colorado Springs, CO., William "Bill" R. Stellmach (Andrea) of Davenport, IA and Gerald "Jerry" M. Stellmach (Jennifer) of Girard; her sister, Rebecca "Becky" Stellmach (Wilbur) of Oil City; her sister in law, Sheryl Fenner of Minot, ND. ; brothers in law, Duane Stellmach (Diana), Bruce Stellmach (Judy) both of Platea, a step son, K.C. Foy (Debbie); step daughters, Deborah Foy, Daphne Kennedy (David), Denise Snyder (Dennis), Danielle Woytek (Alan) and many grandchildren and great-grandchildren. Friends are invite to attend a Memorial Service on Thursday at 10 a.m at Bethel Presbyterian Church, 8990 Crane Rd., Cranesville with Pastor Deb Rimmer officiating. Burial will follow in the Platea Cemetery. Funeral arrangements are under the direction of Edder Funeral Home Inc.,Girard.